Lynne will come to a client's home for a "Psychic Party". 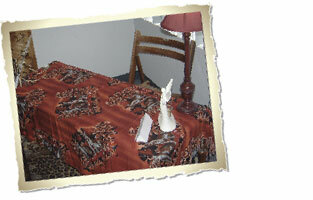 Psychic parties require a semi-private/private area of the house with a table and two chairs. Of course, the number of guests is up to you; however Lynne has found 6–9 guests a manageable number. Each guest should remember to bring an object that is worn often for Lynne to "Psychometrize". Such objects may be; a ring, watch, necklace, bracelet, etc. If travel time to a party exceeds 1 hour one way, attendance must be 9-12 guests. Every person is afforded a private, one-on-one written reading at $2 per minute. An average reading lasts 10-20 minutes, which translates to 10-20 pages of information for the guest to take along. Payment is handled by Lynne upon completion of each reading, freeing the hostess of this responsibility. All phone readings must be payable in advance. No exceptions. In addition, cash basis only for in person private readings and group parties. In the event a guest is under 18, parental approval is required. to reserve your date and time! .